Hotels are facing many challenges. Firstly, ­these aren’t the only accommodation providers in the market and have been severely disrupted by the sharing economy or peer-to-peer (P2P) platforms – such as Airbnb – indeed, it’s been estimated that by 2025, 50% of holiday accommodation could be P2P. Secondly, there’s been a real trend for convergence in the sector and the old hierarchies between lodging categories – guest houses, B&Bs, hotels and serviced apartments ­– no longer hold fast for today’s fickle, spoilt-for-choice guest. In this environment, loyalty is harder to secure – particularly in the era of instant online reviews on sites such as TripAdvisor and other review sites (sometimes known as Electronic Word-of-Mouth and Consumer Generated Media), which enables guests to make decisions based upon online reviews – a scenario that is fast-paced and increases market fragmentation. Meanwhile, there’s the ongoing problem of economic uncertainty, with fewer companies spending money on business travel, travellers being less willing to spend, and a bargain-hunting mindset driven in part by price comparison sites. Hotels have met this challenge in several ways. Some have become more neighbourhood-focussed and individualised, with curated local experiences. Others have added value with an enhanced food and beverage offering. Whichever it is, hotels no longer simply provide guest accommodation. These are having to become flexible places where guests can find interaction, immersion and experience, a sense of the destination outside it, which is why these increasingly offer a multiple range of uses from business networking to social events. As part of this fightback, hotels have to appeal to their guests’ senses to encourage engagement and familiarity. As Emmanuelle Mordacq of NeoPlaces puts it: “It used to be about how to be better. Now it’s about how to become more desirable.” The key is to find a meaningful and emotional connection with guests – and move from the transactional hotel to the experiential hotel. The sensorial guest environment is a way to connect with people. Along with décor, temperature, lighting and other sensory stimuli, scent is a way of engaging guests and scent branding is becoming increasingly important as part of the design process. There’s a huge list of hotels using scent from international chains such as Marriott, Holiday Inn and Sofitel, to Le Meridién and The Ritz-Carlton, and it’s growing all the time. Scenting has three key purposes in hotels: as an ambient mood immersion, as a branding device like an olfactory logo, and as a location-specific fragrance to evoke a particular atmosphere, such as in a spa. 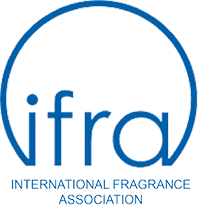 Whichever it is, scent is a powerful way of creating brand loyalty. As Professor Charles Spence of Oxford University’s Crossmodal Research Laboratory points out in our Ultimate Hotel Experience report, brand winners create distinctive multisensory environments, using signature scents that are recognisable, reassuring guests of the hotel’s quality. A signature fragrance gives hotels the key to a huge trend: customisation. Or as upscale luxury group Montcalm says of its London hotels with its personalised complementary aromas: “Imagine opening the door to your bedroom or suite and a familiar delicate aroma tantalises your senses reminding you of a perfect summer day…or an uplifting sensation that awakens your mind, body and spirit.” It’s a direct invitation to the senses, and a key reason why hotels are returning to the fold.